Miami Cuba has arrived at Manly's seaside oasis of great cafes, bars and restaurants. 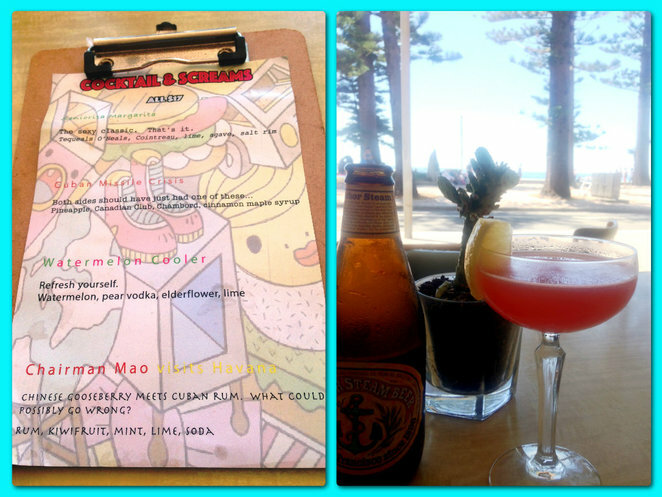 The Miami meets Cuba American style diner is nestled next to Hemingways on Manly's beachfront strip. A great location just a hundred metres from the corso with commanding ocean views stretching out over the iconic Manly Beach. The three co owners are Hannah Darling, Alistair Fogg and a silent partner. 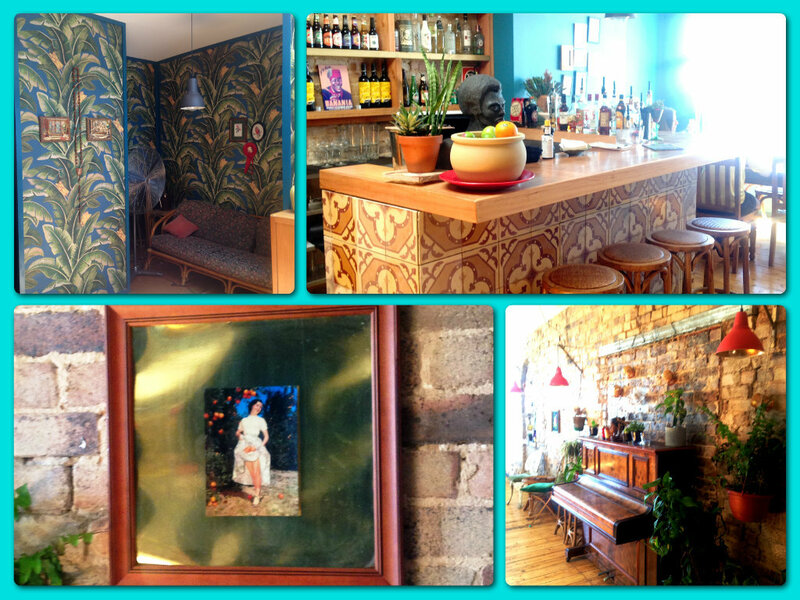 They are borderline obsessed with American culture after travelling through North America With three businesses running under their belts: the popular Night Hawk Diner caters for some of the best parties and functions in Sydney; the 1940's style paddington watering hole The Unicorn Hotel; and they now have added Miami Cuba as their latest shining star. 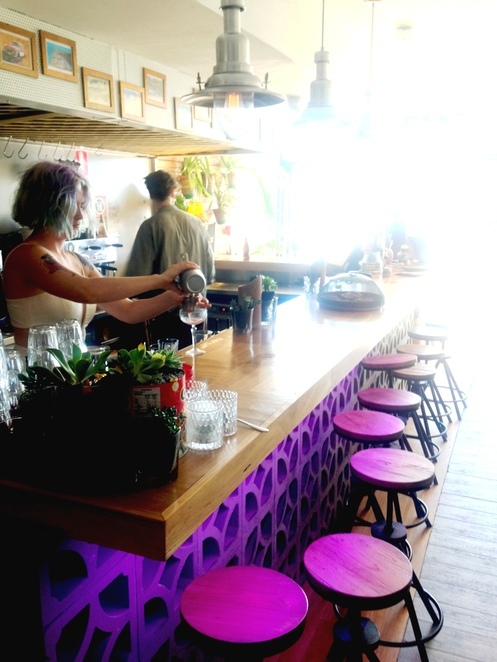 Opening softly on the Labour Day weekend in 2014 with hardly a moment to finish or much fanfare, already establishing themselves as one of the latest casual hip new bars much loved by the local residents, beach goers and visitors to Manly. It's bright aqua mint green frontage and neon signage sings tropical Miami. 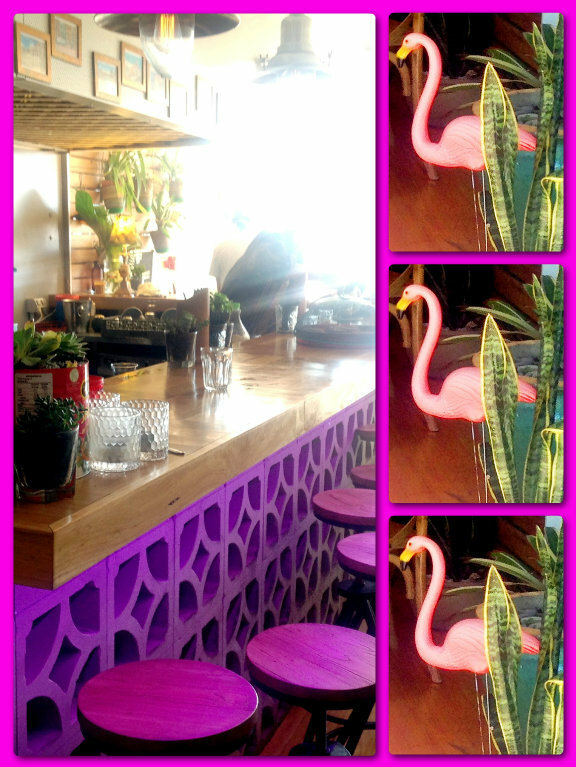 The front entrance is open and airy with a 80's vintage bamboo lounge and hot pink flamingo cushions for comfort. A retro vintage mix of tables and chairs amongst a few quirky flamingo friends, cactus plants and palm tree pots provide a tropical atmosphere. The main bars design uses a light weight decorative cement brick facing, which is a nice textured feature. The walls and bar are lined with vintage artwork and palm tree papering. More retro furnishings feature here and there. The upper level continues on with the 1950's retro theme with a lovely bar lined with decorative tiles and seating with spectacular views over Manly Beach. There is also a fabulous back terrace that I imagine would be a hit in the evening buzzing with the hip younger crowd and also ideal for a private function or party. I love the view from the upper level front bar area. Any time of day especially early evening would be stunning. 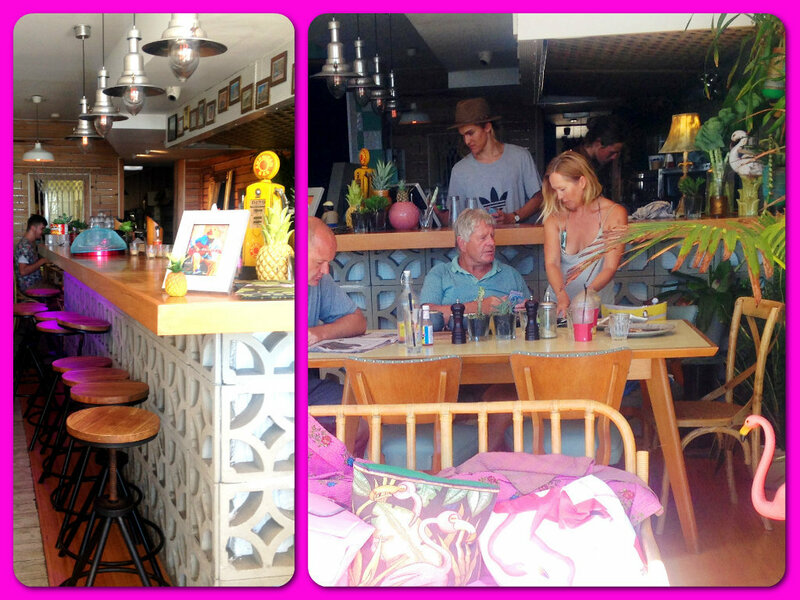 Miami Cuba's culinary ethos is inspired by the seaside location and based around cuban flavours with an american twist. The menu is simple but interesting. You can laze over breakfast with a healthy bowl of nuts, summer fruits with acacia and chia, avocado brioche, pancakes or an omelette. Lunch and dinner consists of empanadas, salads, chilli beans, nighthawk chilli fries, burgers and pulled pork sambos. Perfect accompaniment as you savour an ice cold drink. I had had a big breakfast earlier elsewhere but being a piggy and though only just turned midday decided to indulge. 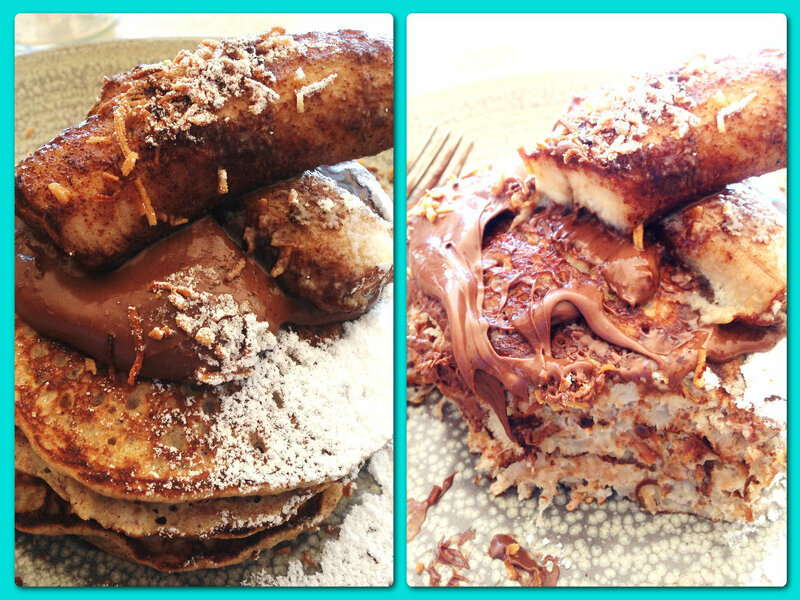 So I went for the gluten free banana pancake stake smothered in Nutella with crispy coconut sprinkles. Seriously yum and none of that bloating you feel from normal pancakes being gluten free for those slightly intolerant to wheat types like me. It was light, fluffy and delicious. I was a bit naughty and asked for a dollop of ice cream which is not part of the breakfast menu but they happily indulged me. As it was a steaming hot day and I love cocktails I thought why not! My choice of the refreshing Watermelon Cooler made with Pear Vodka and Elderflower and Lime went down a treat. Hannah and her bar team can drum you up some sensational Cocktails, your spirit of choice or favourite beer from their large bottled beer $8 selection: Cricketers Arms Lager, Little Creatures Ales or Young Henry's Real Ale Long neck $12 are just a few from over 20 brands. Not forgetting the Wines like a chilled Italo Cescon Pinot Gris $12/$42 or maybe a Parri Poggiano Chianti $11/$40. 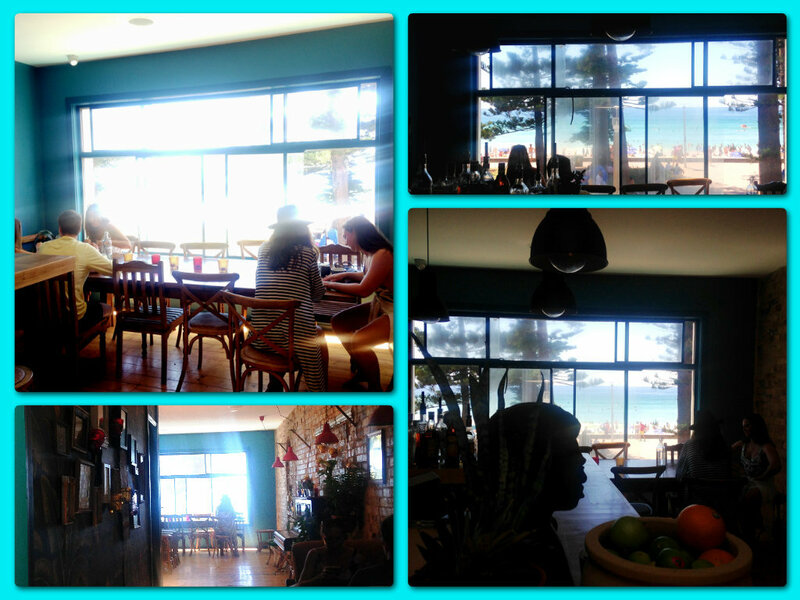 I have to make a vote of approval for this great new addition to Manly bar/cafe scene for a visit day or evening. Do check it out. Like their Facebook page by clicking here and keep up to date.